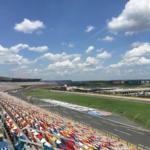 The stars of the NASCAR Gander Outdoors Truck Series take on the high banks of America's home for Racing, Charlotte Motor Speedway under the lights in 200 miles of exciting, tailgate-flying action. 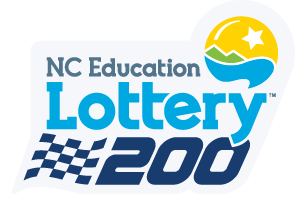 Drivers will also set the field for the Monster Energy NASCAR All-Star Race with white-knuckled, no-speed-limit qualifying that includes a mandatory four-tire pit stop. Don't forget Kids 13 & Under Get In Free! Luxury seating in a private club suite includes in-suite catering, cash-bar service, TV monitors and climate control. 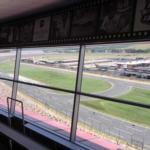 This is the best option for fans that like smaller, private boxes. Includes elevator access and suite- level restrooms. Dress Code: The dress code consists of business casual/country club casual such as dress pants and capris, golf-style/walking shorts. In addition to the above, we will allow jeans, jean shorts, running shoes and casual shirts. Jackets and ties are not required. No screen printed t-shirts; undershirts; cut-off shorts; athletic wear; torn or tattered clothing; or beach style flip-flops. Indoor climate-controlled seating featuring high-back, padded chairs and TV monitors. 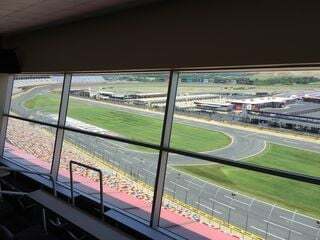 Clubhouse seats are located directly across from pit road and one level below The Speedway Club Restaurant, which provides excellent views of the gigantic HDTV. 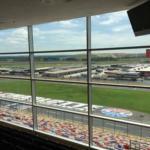 Includes elevator access, cash-bar service, clubhouse level restrooms and easy access to the 5th Floor Café. The indoor Café area offers our signature casual dining menu with cash-bars, sweet shop, and an indoor dining area. Food and beverage are not included in the ticket price. Outdoor stadium-style seats with contoured backs and armrests. Located on the front stretch at pit road exit in the General Motors and Ford Grandstands. Convenient access to the indoor 5th Floor Café. The indoor Café area offers our signature casual dining menu with cash-bars, sweet shop, and an indoor dining area. Food and beverage are not included in the ticket price. Looking to bring out a group or treating your clients to a fantastic day of racing? Give us a call and our Corporate Sales department can take care of your needs.